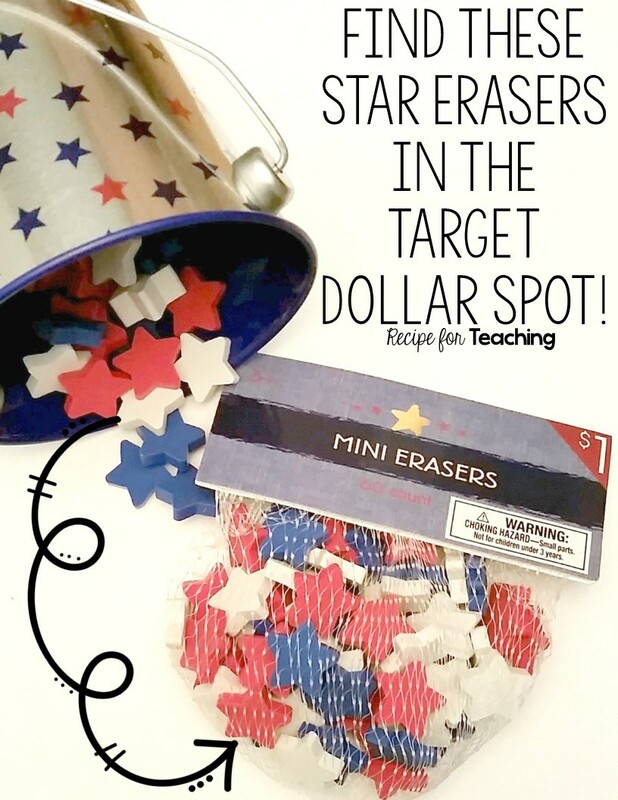 If you are a teacher, you probably are addicted to the Target Dollar Spot like I am!! So many great things in one spot and I typically *need* all of it!! Right now Target has a lot of patriotic themed items in the Dollar Spot. 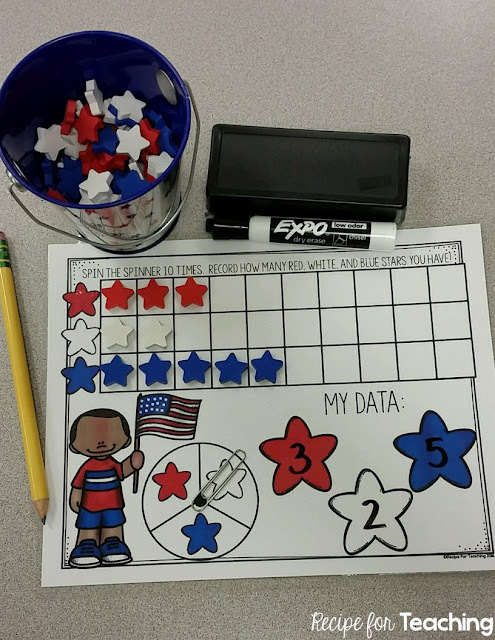 As soon as I saw the red, white and blue star erasers they had, I knew that I needed them and could use them for math manipulatives! Now you just need to run to Target (as if you needed an excuse to go shopping!) and grab up these erasers! 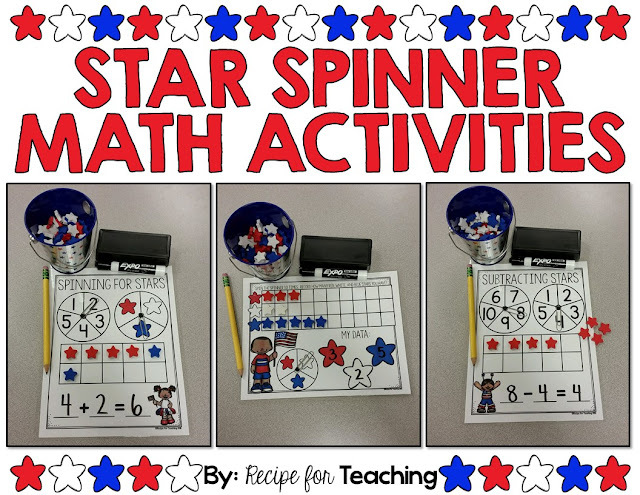 I came up with three different "Stars and Spinners Math" activities that you could use with your students to go along with the red, white, and blue star erasers. 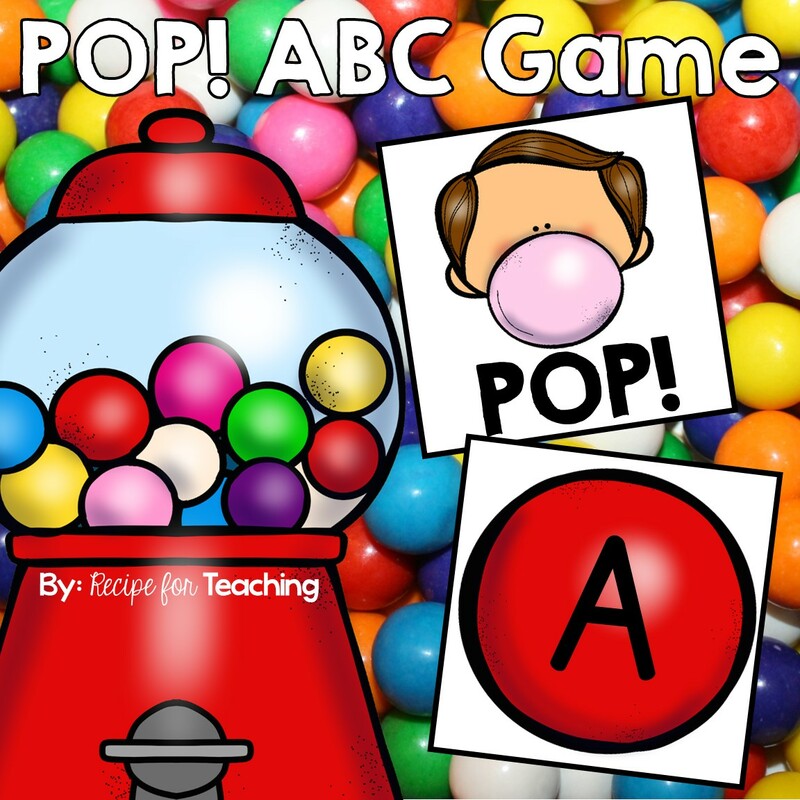 One is a graphing activity, one is an addition activity, and one is a subtraction activity. 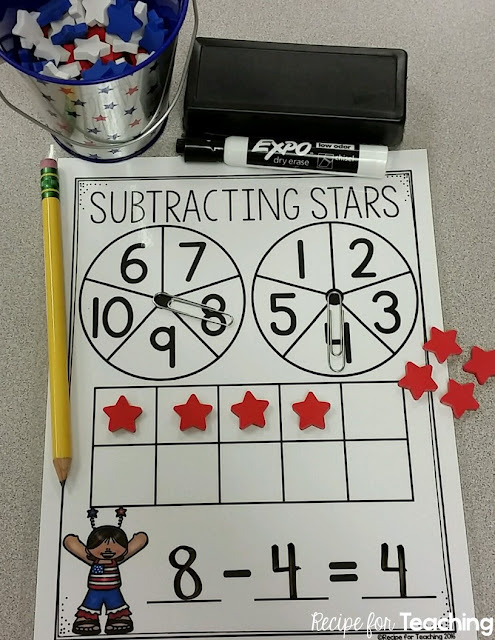 The subtraction activity is like the Superhero Math activity I recently shared about. You can grab that FREE download here. 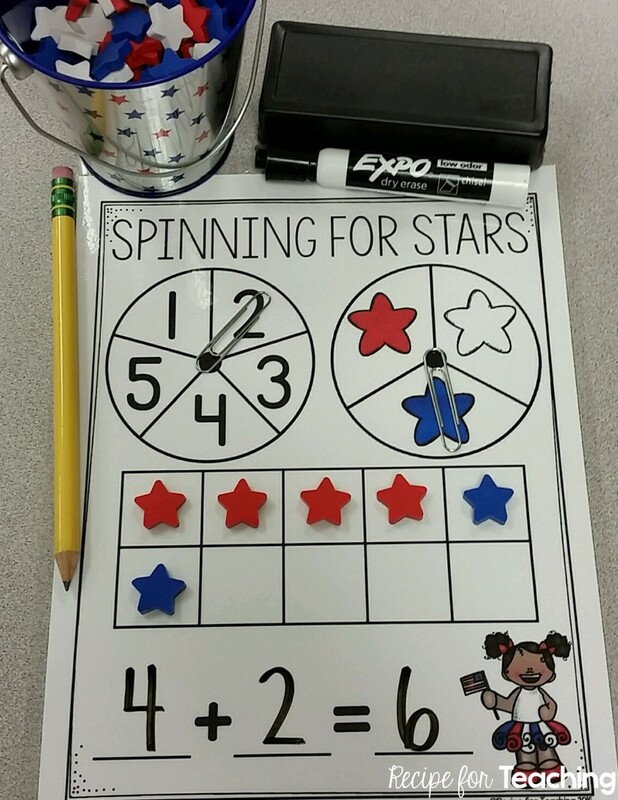 For the graphing mat, students spin the star spinner ten times. After each spin, they lay that color star on the graph. After they have spun the spinner ten times, they count how many red, white, and blue stars are on the graph and record the number in that color star under the "My Data" spot on the mat. If they are working with a partner, they can share which was greater, less, and if any were equal. You could also have your students write about their data from the graph. For the addition mat, students spin the 1-5 spinner and then spin the red, white, and blue star spinner. The 1-5 spinner tells how many stars to put on the ten frame and the star spinner tells the color star to put on the ten frame. For example, if students spins the number 2 and the blue star, they would put 2 blue star erasers on the ten frame. Students repeat that step and then lay those stars on the ten frame. Then students record the addition equation. For the subtraction mat, students spin the 6-10 spinner and lay out that many stars on the ten frame. Then they spin the 1-5 spinner and take away that many stars from the ten frame. Students then record the subtraction equation. 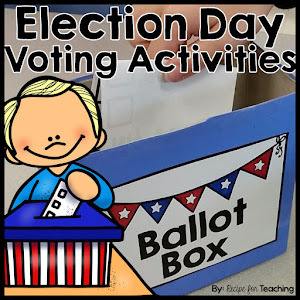 These activities would be perfect to use around Memorial Day, Veterans Day, Election Day, or Presidents Day. 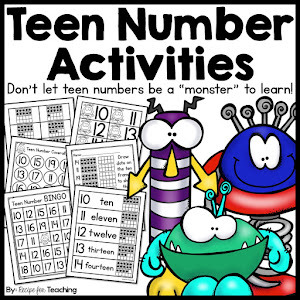 They would make great activities for math stations once your students are familiar with them and can do them independently. 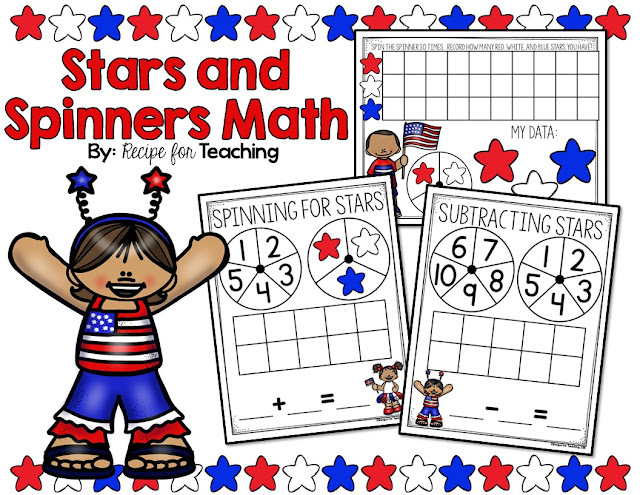 To grab your FREE download of the Stars and Spinners Math activities, just click the image below!